I have listed a new property at 203 2128 40TH AVE W in Vancouver. I have listed a new property at 5436 LARCH ST in Vancouver. Rarely available townhouse in the centre of Kerrisdale! Quiet inner unit, upgraded move-in condition. 3 floors radiant heating, (heat included in the strata fee) 3 bedrooms upstairs each with its own full bathroom, crown mouldings throughout. Newer washer/dryer, fully finished DEN in the basement can be used as gym or media room, private garden, 2 side by side underground parking just outside of the basement. Just steps to Kerrisdale shopping centre, community centre and restaurants. Close to all best schools: UBC, Crofton, Point Grey Secondary and Quilchena Elementary. I have sold a property at 6138 CEDARHURST ST in Vancouver. Truly one of the prettiest homes in Kerrisdale. Situated on a coveted street, this lovely home offers five bedrooms, four bathrooms, original fireplaces, oak hardwood floors, large principal rooms with French doors opening to a South facingterrace and a fully finished lower level. The surrounding gardens are private and serene and provide a lovely background for this charming home. 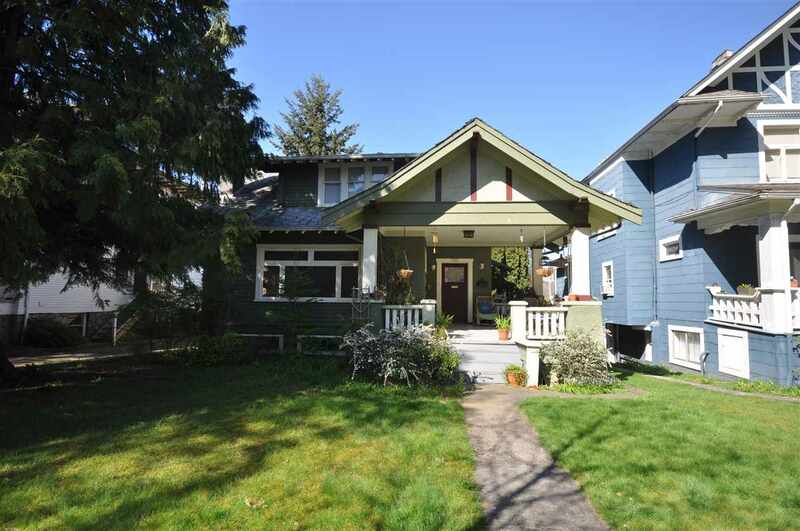 I have listed a new property at 6138 CEDARHURST ST in Vancouver. I have sold a property at 2966 45TH AVE W in Vancouver. Stunning Custom Exceutive home in the HEART of Kerrisdale! Architecturally designed by Peter Rose 2004, Rebuilt by Cavendish Construction. Gorgeous Professionally landscaped Estate-like grounds, private southern exposure with pool, hot tub. Fabulous entertainment home with elegant principals rooms, allfrench doors unto the patio with serene water feature. Gourmet kitchen with spacious family room, beautiful outlook. The Upper Level features 5 bedrooms, phenomenal Master with sitting room, F/P gorgeous ensuite and deck to enjoy the peaceful surroundings.Lower level with Family room, games room, Media room, and temperature controlled classic Wine Cellar. Air conditioned. THE VERY BEST OF FAMILY LIVING! Excellent schools, shopping! A pleasure to show by appointment. I have listed a new property at 2966 45TH AVE W in Vancouver. I have sold a property at 403 2165 40TH AVE W in Vancouver. THE VERONICA! One of Kerrisdale's finest CONCRETE Co-op buildings. Check out this bright, quiet NE corner unit with a very nice garden outlook. Good open plan, large rooms and a good size corner balcony. 1 parking & 1 storage locker.Exceptionally well run & cared for building with a residential manager on site. Pets & rentals not allowed, age restrictions of 19+. Great location 2 level blocks from Kerrisdale's 41st & Arbutus, buses, shopping, cafes & restuarants minutes away. Showing Sunday Feb 12th, 2pm. Check out VIDEO at Realtor's Website. Please visit our Open House at 802 2165 40TH AVE W in Vancouver. I have listed a new property at 403 2165 40TH AVE W in Vancouver. I have sold a property at # 702 2165 W 40TH AV in Vancouver. Location Location. Heart of Kerrisdale. Concrete Co-Op Exceptionally well run & cared for. THis one bedroom boasts mountain view. Bright. Clean. Quiet. Secured underground parking and locker. Just steps away to all the fine shops and community center. Easy to show! Call for apt. Can be quick possession. I have listed a new property at 802 2165 40TH AVE W in Vancouver. Heart of Kerrisdale, fabulous treed street, concrete building, North Shore Mountain View, North West corner with balcony, 1 underground parking, storage. Park the car and walk to everything. Quick possession possible. Easy to show. I have listed a new property at # 702 2165 W 40TH AV in Vancouver.